Industry bigwigs had called on the GST Council to consider two-wheelers as mass usage products instead of niche luxury ones. The GST Council that met on 10 January ignored the request to reduce GST for two-wheelers. Two-wheelers are currently taxed at 28 per cent, which is the highest GST slab. Major manufacturers like Bajaj, Hero MotoCorp and TVS called for an 18 per cent GST rate for two-wheelers. After Bajaj Auto, Hero MotoCorp and TVS supported calls to reduce the GST rate for two-wheelers, all eyes were glued on the GST council meeting that took place on 10 January. However, in a disappointing turn of events, the meeting ended without any changes to the two-wheeler GST rate. In the weeks leading up to the 10 January meeting, Hero MotoCorp chairman Pawan Munjal had asked the government to consider revising the two-wheeler GST rate from 28 per cent to 18 per cent as doing so would help millions of buyers and the entire industry. TVS Chairman Venu Srinivasan joined the chorus by saying that the prevailing GST structure unfairly put two-wheelers in the same bracket as luxury goods. Bajaj Auto MD Rajiv Bajaj went a step further by stating that the GST rate cut should be tied to the introduction of any new two-wheeler regulation that pushes up prices. Mr. Bajaj was obviously pointing to the upcoming safety regulations that mandate ABS and CBS for all two-wheelers 1 April onwards. While both these features can act as lifesavers, there is no denying that they come at a significant cost. In fact, judging from recent launches, the on-road price of a two-wheeler is likely to increase by 8-10 per cent because of the new regulations. In the absence of a GST rate cut, this hike is sure to be passed on to the end buyer. The demands for a rate cut first gathered momentum late last year when the government came up with a new insurance rule that required all new two-wheelers to be sold with five years of mandatory third-party insurance. According to many, this was a setback to the two-wheeler industry just before the festive season began and had a major impact on sales. Other factors that played spoilsport for two-wheeler sales back then included rising fuel prices and the liquidity crisis in NBFCs (non-banking financial companies), which are a major source of two-wheeler finance in semi-urban and rural areas. Consequently, the sales growth of Hero MotoCorp fell in 2018, while that of TVS recorded four per cent growth. 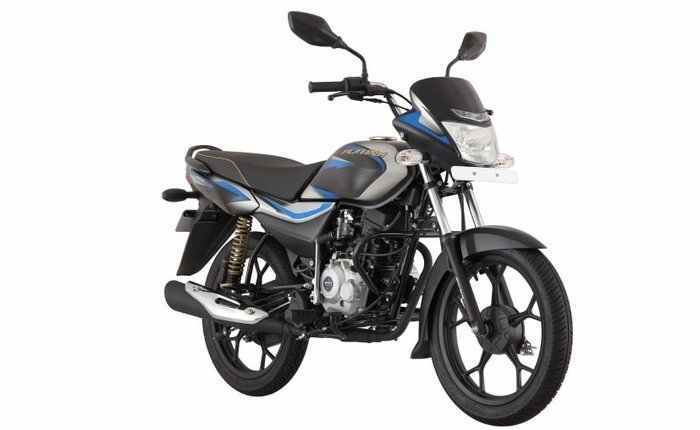 Bajaj was the only manufacturer of the three to post healthy double-digit growth numbers. While the tide of rising fuel prices has subsided for now and the liquidity crisis has somewhat eased, buyers are still postponing new two-wheeler purchases. The lack of new two-wheeler models and launches has also contributed to decline in buyer enthusiasm. Manufacturers, in their defense, are busy updating their product lineup with ABS and CBS. In fact, a few have categorically said that they won’t launch a new product till BSVI emission norms come into effect from April 2020. The implementation of BSVI norms is the next major challenge for manufacturers as besides other revisions, manufacturers will have to update their two-wheelers with fuel-injection, which is a major technological upgrade that will cause prices to go up significantly. Although the 10 January GST Council meeting ended on a negative note for the two-wheeler industry, some in the industry continue to push for a GST cut for two-wheelers to soften the blow of the upcoming safety regulations. With prices set to rise in the immediate future because of new safety and environmental regulations, we as two-wheeler enthusiasts certainly hope the government steps in to lighten the burden by rationalising the GST rate on bikes and scooters.